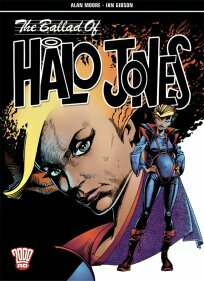 Get your hands on Halo as Books 1-3 of her interstellar adventures are collected under one cover and published by DC/Rebellion. Alan Moore and Ian Gibson's critically acclaimed feminist space opera is one of the most popular stories to have appeared in 2000 AD, and if you've yet to be introduced to Toy, Toby, Brinna or Rodice, then this is an essential purchase! 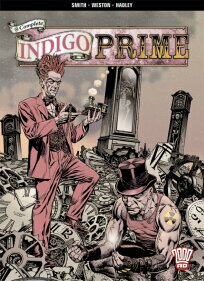 Sci-fi bizarreness from the warped imaginations of the Smith, Weston and Hadley droids as transtemporal troubleshooters Indigo Prime protect the multiverse from all manner of threats. Included is the Jack the Ripper classic 'Killing Time' and Fervent and Lobe's comic opera 'The Issigri Variations'! These books are all now available from Tharg's Future Shop. 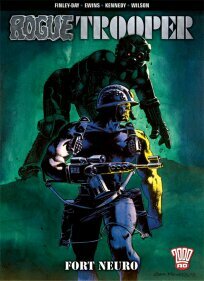 And keep your optical sensors peeled for the next wave of 2000 AD graphic novels - starting with Judge Dredd: Satan's Island, Rogue Trooper: Eye of the Traitor and Family - coming your way this October!